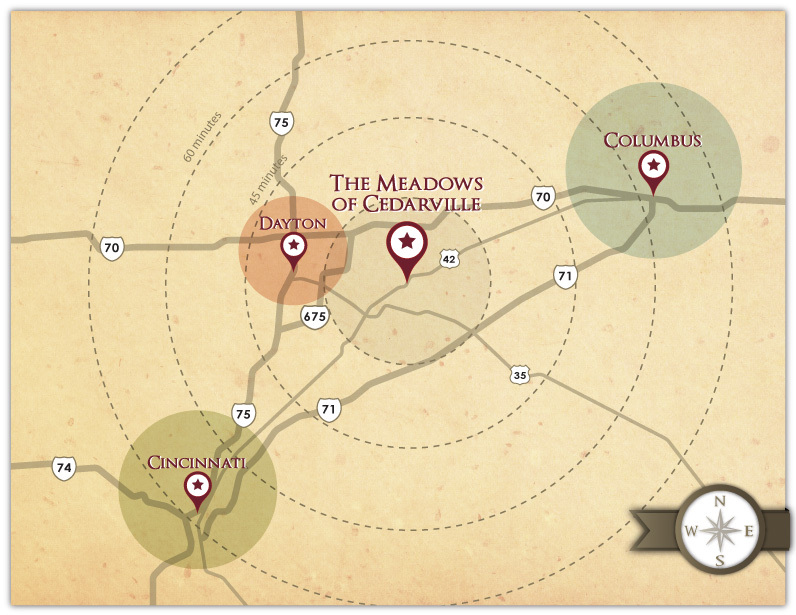 The Meadows of Cedarville is situated just on the edge of historic Cedarville, Ohio. 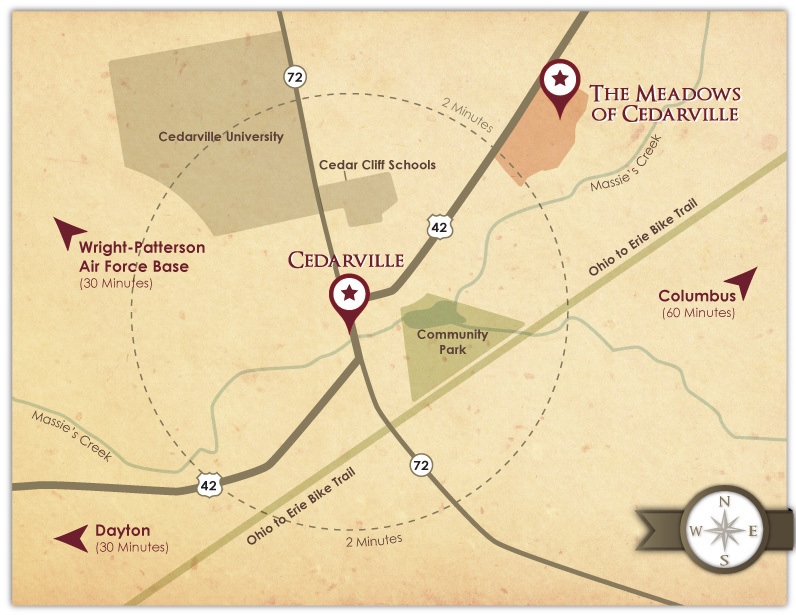 Enjoy small town community living just minutes away from life’s conveniences. 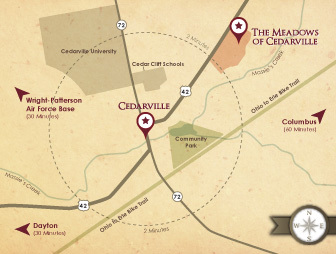 Cedarville is a bedroom community for places such as Beavercreek, Springfield, and Wright Patterson Air Force Base. 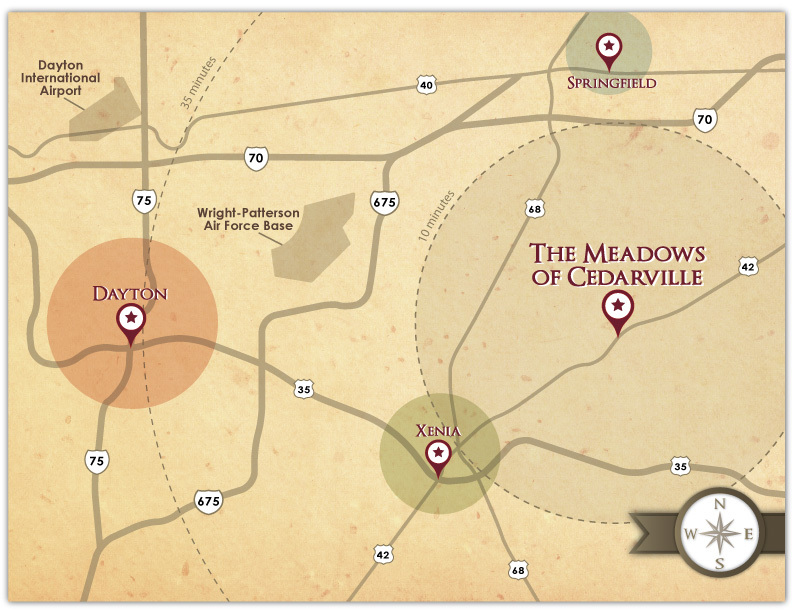 Living here, you can escape the rat race and yet enjoy the conveniences of Dayton Dragons baseball and events at the Schuster Center. 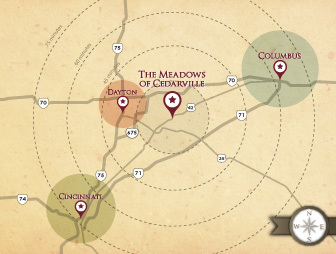 If your place of employment is located in a major city or if you are a frequent traveler, Cedarville is centrally located between Columbus, Dayton, and Cincinnati. The conveniences of the big city are well within your reach but far enough way to enjoy life’s simple pleasures.